Only half of Nigeria’s population have access to electricity, and with power generation recently dropping from 4,708.3MW to 2,938MW, Nigeria’s electricity crisis is now utterly dire. This article, in fact, was written from the precious power juice of a generator. Can we just throw this country away and move to Rwanda please? 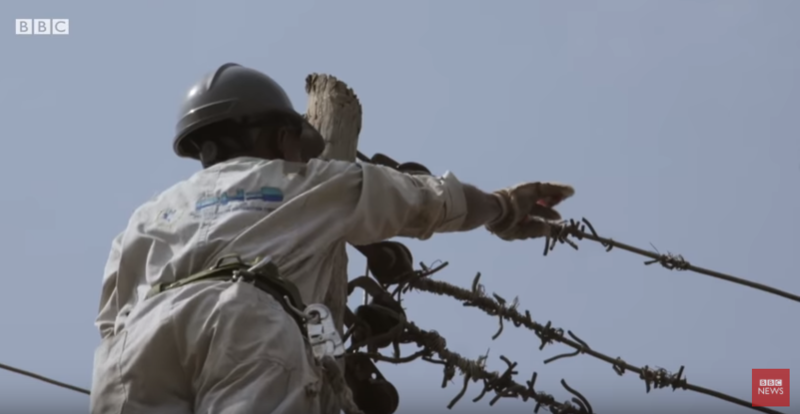 In a new BBC Africa Eye documentary, the ever-familiar issue of power outages is the focus, highlighting the operations of one of Nigeria’s power distribution companies PHED. The documentary is bleak, and yet again asking why Nigeria can’t overcome its electricity issues plaguing it. With Buhari winning the recent presidential election, we hope we see the change his campaign promised. Anyway, I’m not holding my breath.